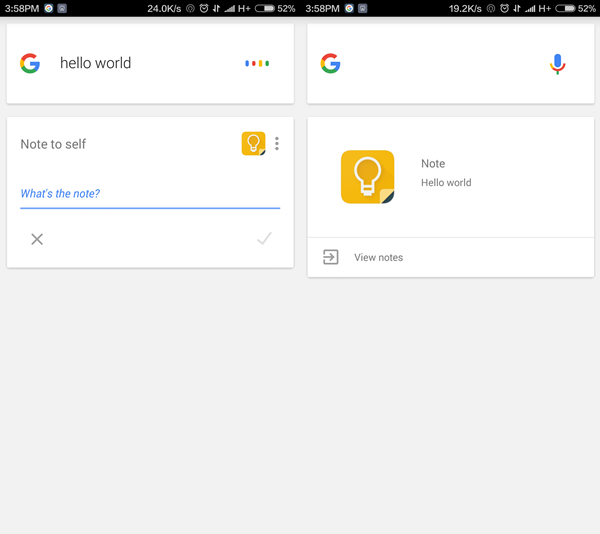 Google keep is a note making app from Google that has top known features like cross-platform syncs, mobile themed and reminders. Google has never missed a chance to amaze users by adding some awesome feature that their product becomes a must have one. Checkboxes are a great inbuilt feature that Google keep has but when it comes for noting down non-to do list of sub-division of a to-do list google keep does not have any inbuilt feature. However, Google has taken care of this from backend and lets you add bullet points by using an asterisk (*) hyphen (-) or a plus (+) symbol each time by entering a new line. You can also use this feature to the indentation of your notes. Not all notes are simply to-do list or shopping list, sometimes you have to have a complex note scattered all over the keep note. Hence google allows the keep notes to export to Google doc and there perform the complex edits like text formatting, tables insertions, object insertions etc. One thing to note here is that every time you export the existing keep note, the system creates a new Doc which is quite annoying to manage. So in case, you have a note to frequently export to google doc for editing, go for copy paste cycle till Google releases sync update between keep note and existing google doc. Apart from this, you can export multiple keep notes too. Just select all the notes you want to back-up and click the menu icon to find Copy to Google Doc and bingo, you have successfully backed up all your notes in a single Google doc. 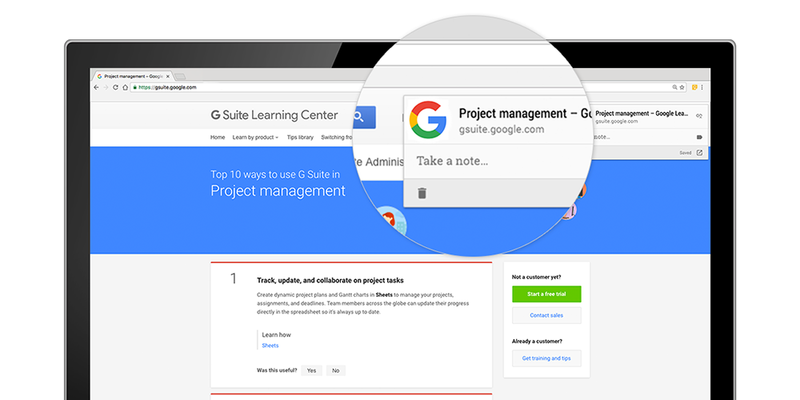 This feature brings your team on the same page. By adding a member to the keep note, you can create a constructive approach towards building the content around the idea with the whole team adding into same keep note. This feature is helpful when your team is in a remote location and has to participate in building an idea or content to the idea. Just by adding the members, they’ll receive a link with which they can add content to the note. This further syncs and creates a single note with everyone’s input. This feature work on OCR functionality that scans for a text in an image and displays it. In Google keep head over to a note containing an image. Tap on the menu and select “Grab Image Text” and you will see the text from the image added to the note. However, this feature is not that accurate as “OneNote” from Microsoft but Google is surely working on it to improve this feature. 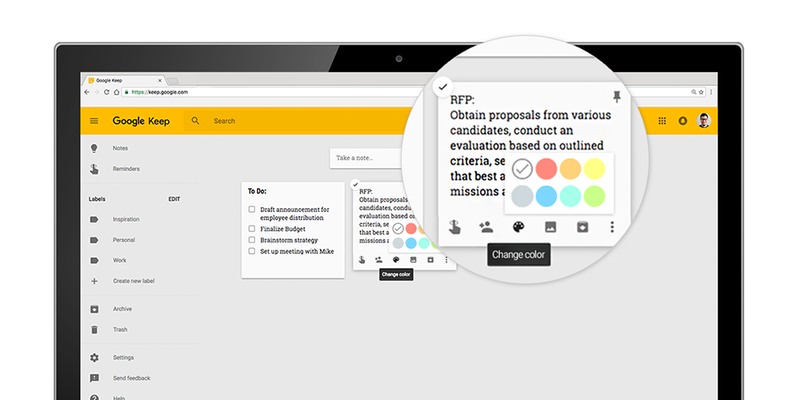 Most of Google keep users are unaware of this simple feature that lets you arrange the notes exactly the way you want. Simple click/tap & hold and reorder it anywhere on Google keep the home page. By default, Google keep places the latest notes on the top. But you can place any note over the default ones by pinning them to the top. Again, pinning feature pins the latest post on the top and you can reorder the pinned posts too. You must be aware of creating reminders in Google keep. Reminders are more or less like alarms with a text note on it. But Google has taken this alarm feature a mile ahead. The reminders that you create on Google keep syncs with Google Now and you will receive notification on your PC and mobile when the reminder is ripe to notify. You already know that you can set reminders in Google Keep and trick #6 is also handy to you. But what if I tell you that you will not forget to buy the grocery from the shop near your home? Yes, you can set location-based reminders too. So whenever you arrive at the location, Google Keep will notify you about the note you’ve set. The bad news is, this feature works online only as you need to be connected to the internet to feed the location for a reminder. Get creative with Google Keep’s Doodle feature that lets you draw your thoughts and share it as an Image format. You can start doodling your thoughts by tapping/clicking the “pen” icon at the bottom of the bottom bar. The Google search app is smarter now. With voice search taking a deep turn in our daily lives, Google has enabled this feature of voice commands to make a note in Google Keep too. All you need to do say “Okay Google” and say “make a note” if you have multiple notes making app Google will ask you which one to use (Yes it’s that smart) Choose Google keep and voice out your note. It’s that simple! For recording thoughts on the go, you can record voice memos within Google Keep on your Android or iOS device. Open up the Keep mobile app, click on the microphone icon at the bottom right of your screen and record your message. When you’re done talking, the recording will automatically end and a new screen will pop up with the text of your message and an audio file. Click on “title” at the top of your audio file and name your note. Your note is automatically synced with the web app, too, so you can access it on your desktop. Sometimes a picture is worth a thousand words. Using Optical Character Recognition (OCR), Keep can transcribe text from pictures for you, so you don’t have to worry about typing up notes from a meeting or whiteboard session (shameless plug: you can also use Jamboard for that). You can sketch images in Keep. Select the pen icon at the bottom of your mobile screen and a bunch of options will appear. Play with colors, shades and more. Once you’re finished with your drawing, you can share it right away with coworkers. Or, you can come back to handwritten memos later by searching for what you wrote. Speaking of search, you can also find images by searching for words contained within them. Say you snap a photo from a whiteboard and the image contains the word “Proposal.” Just search Keep for “proposal” and your image will appear. Create notes while you browse the web by downloading the Chrome Extension. One cool thing is that when you create a note using the extension, it saves the site URL with it. So if you browse back to that same URL, the extension will show your note in context. Some teams save content from other messaging or social media apps in Keep to reference later. Or, vice versa, you might use Keep to draft emails or social media posts on-the-go. Click on the three dots in the bottom right corner of your Keep app, select “send” and choose the app you want to share your note with. You can also add labels to your notes. Another way to locate your information in Keep is to add and create labels using #hashtags. When you create a note in the Keep app, you can type #label-name and Keep will prompt you to either apply a label if it already exists or create one if it doesn’t. It’s a pretty handy shortcut. Notes matter only if you can execute on what your record. Keep lets you set up reminders which can help. Select a note and click the finger icon at the top right of your screen in Keep (it has a string on it). When you do that, a pop-up window will give you options to set reminders. The great thing about this is that these reminders will alert you in other Google tools, like Calendar, Chrome or on your Android device. Note: make sure you have Reminders enabled inside your Calendar app in order to see them. You can check out how to do that the Help Center under the “Don’t see your Reminder” or “Switch between Tasks and Reminders” section. Now that you know tricks to use Google keep even more efficiently, which trick are you going to use the first? Which tricks were the ones you knew already? Did you have anything to add in this list? Give the responses here in the comment section below. Share the content in your network and recommend it. Also, join my mailing list to get such awesome content right in your inbox or join the telegram channel & receive updates in your favorite messaging app.